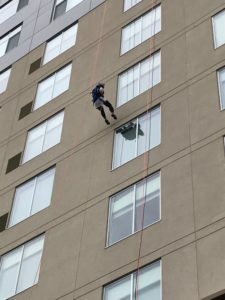 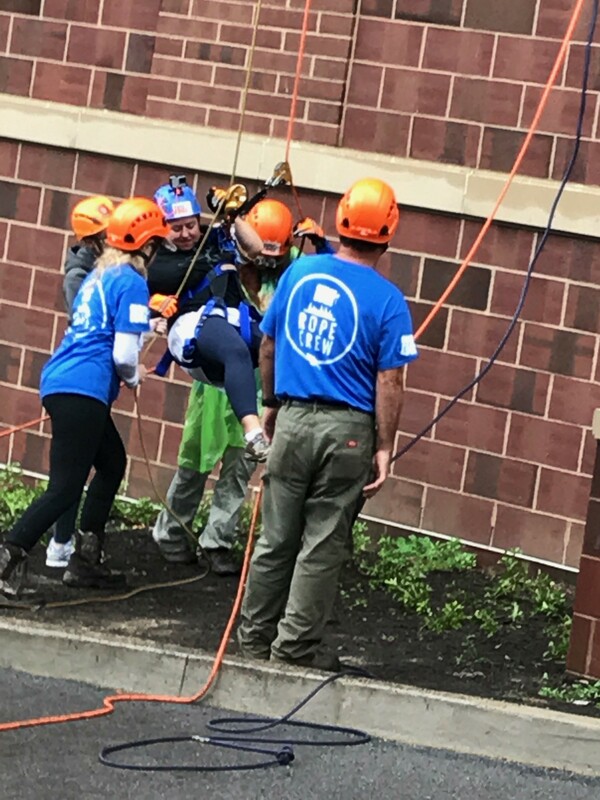 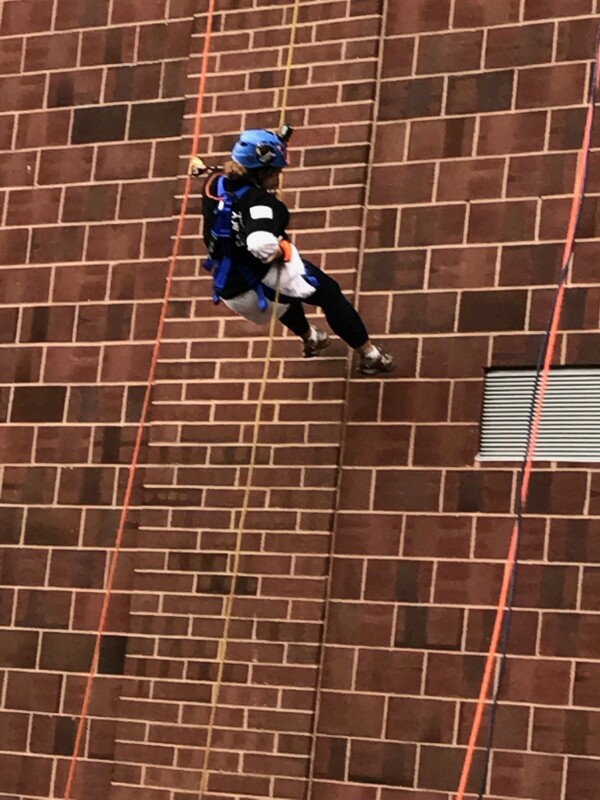 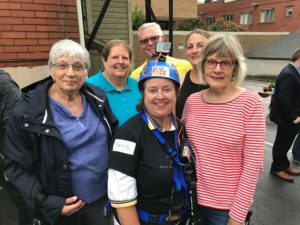 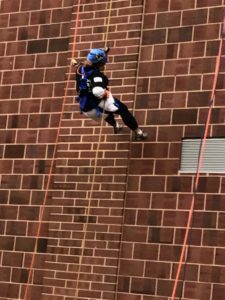 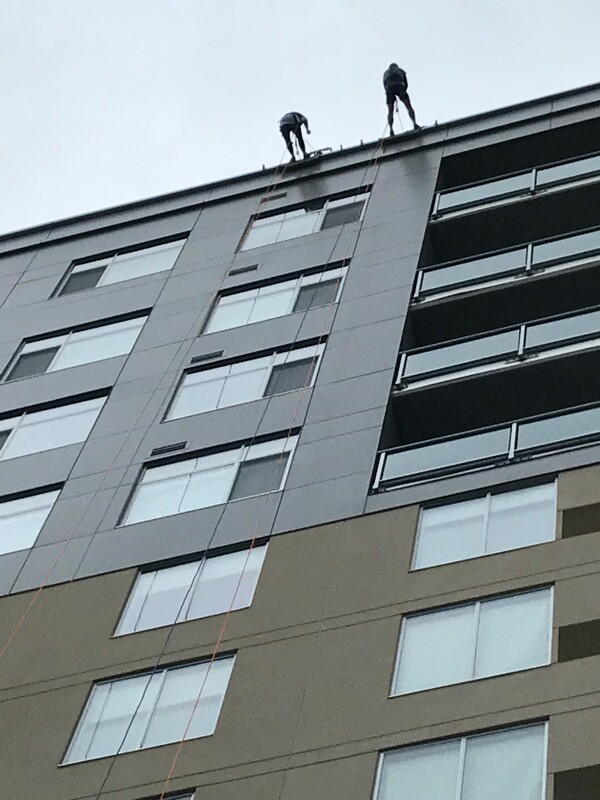 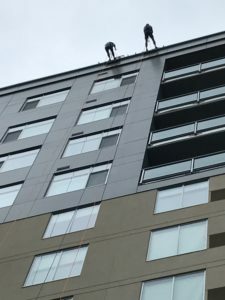 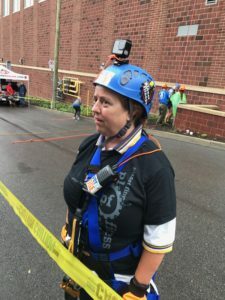 Sunrise Rotary member Marce Panico goes “over the edge” to support FaithCentre and InterFaith Human Services. 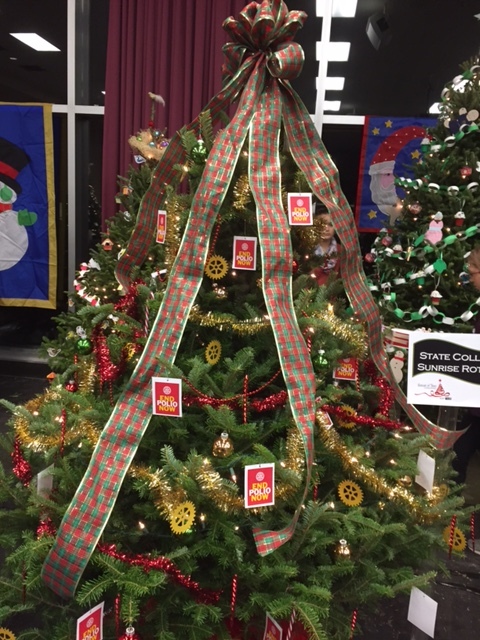 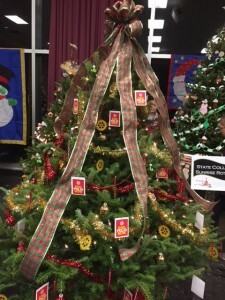 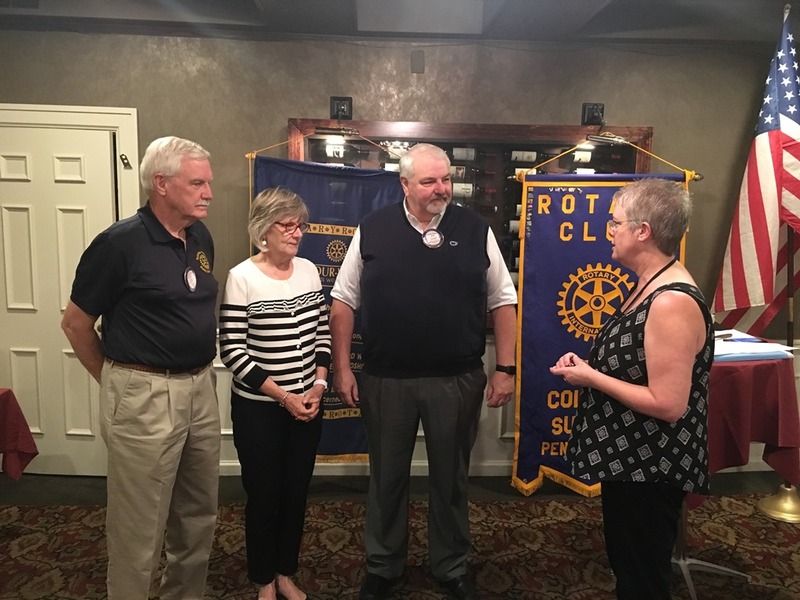 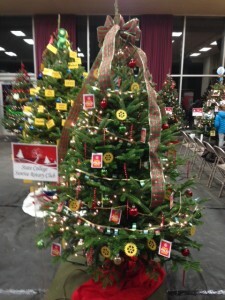 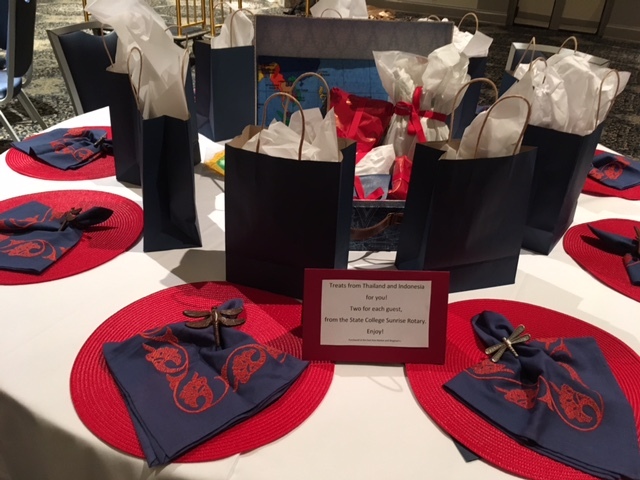 State College Sunrise Rotary sponsored a center piece display at the 2017 Global Connections dinner. 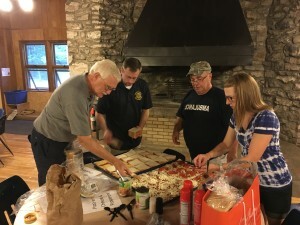 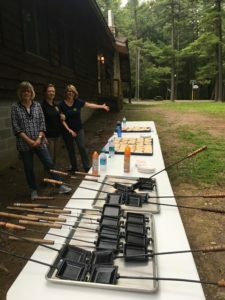 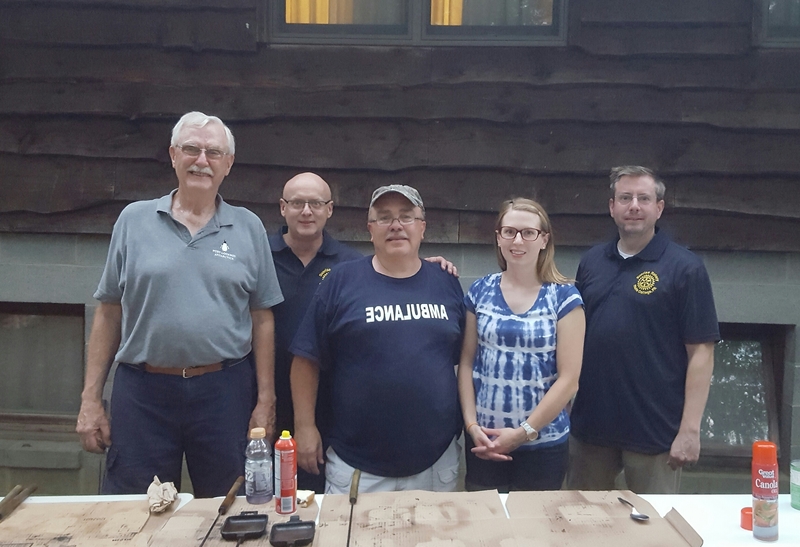 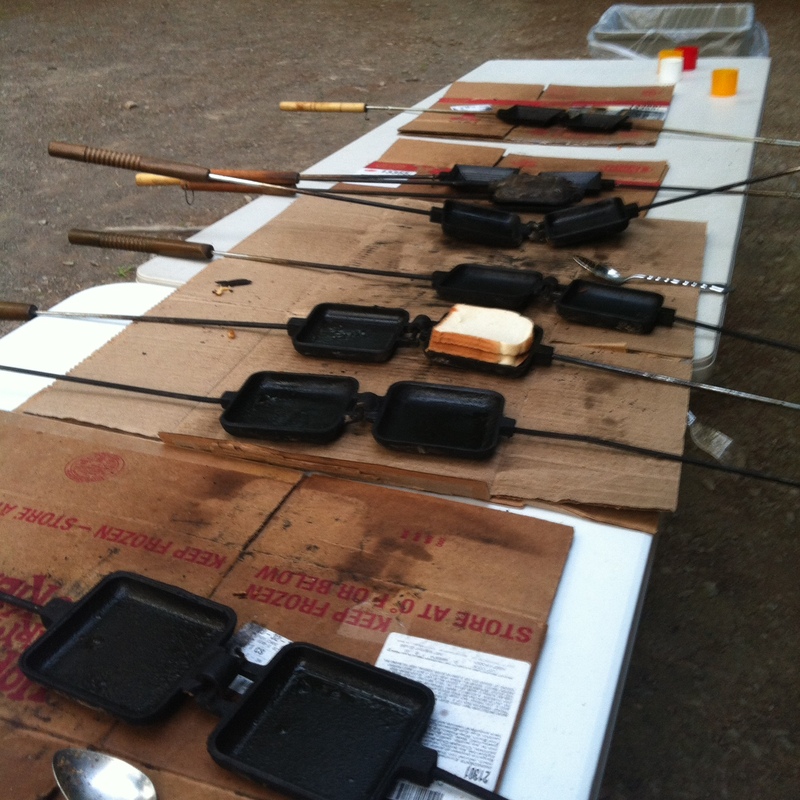 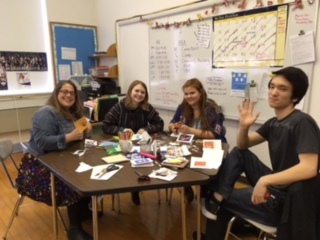 Gail K, Tom E., “Super” Rick T., Kimberly F., Sharron B.
Lam, Phil, Kimberly and Anna making mountain pies for the hungary campers! 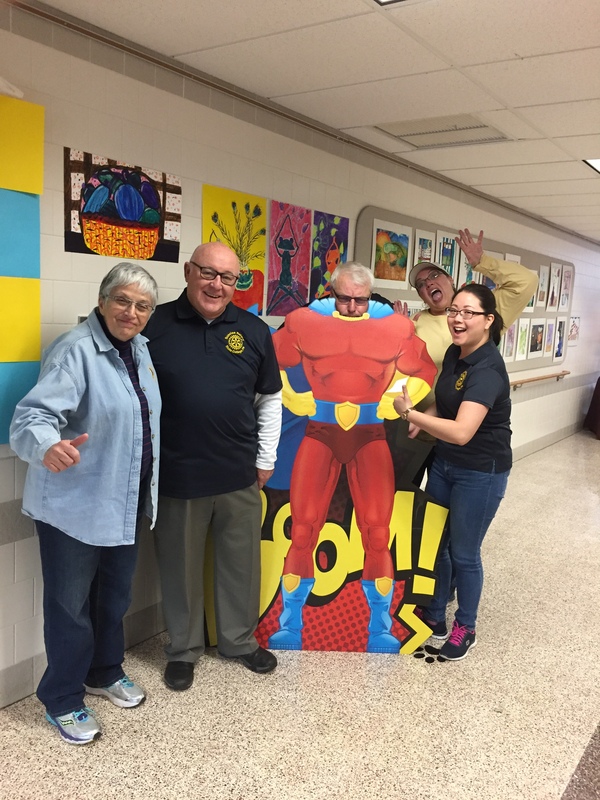 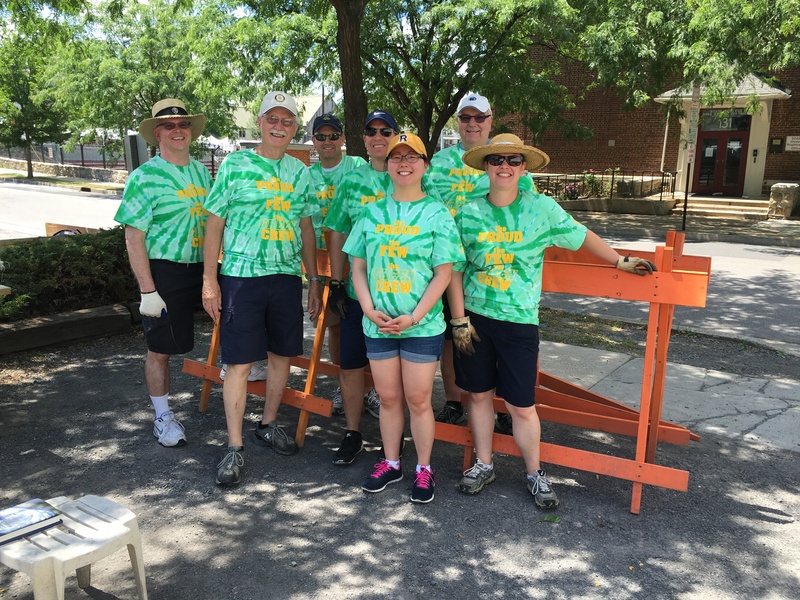 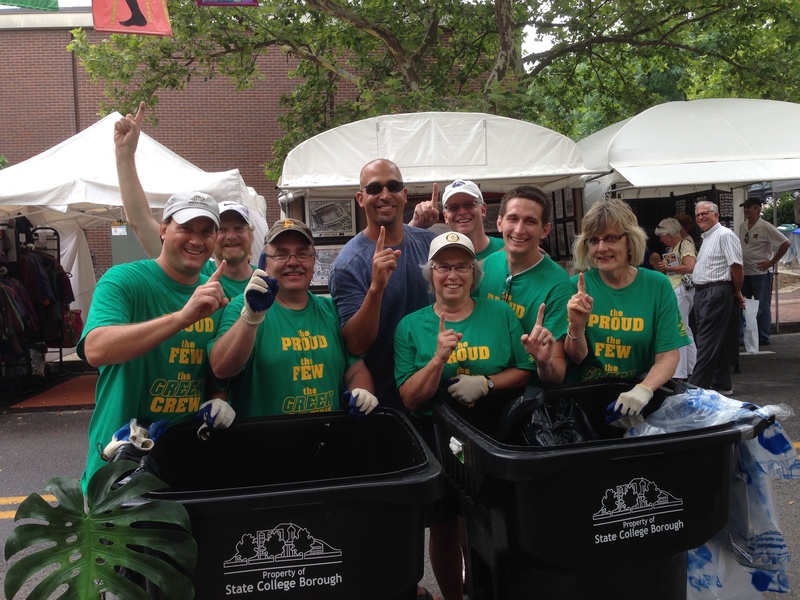 2015 Art’s Fest trash pick-up service project. Nov 2, 2014 : Brad, Phil, Jean and Larry clean up our section of road on Whitehall Road between Nixon and Tadpole Road. 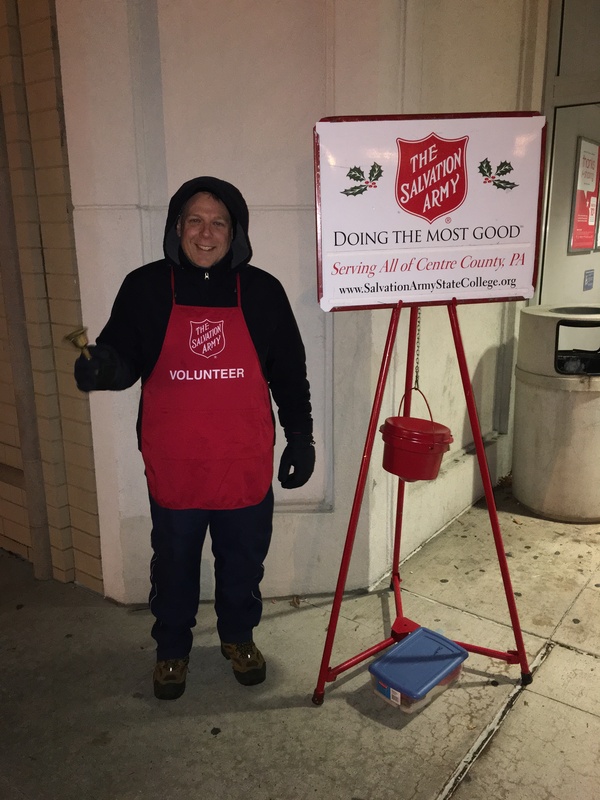 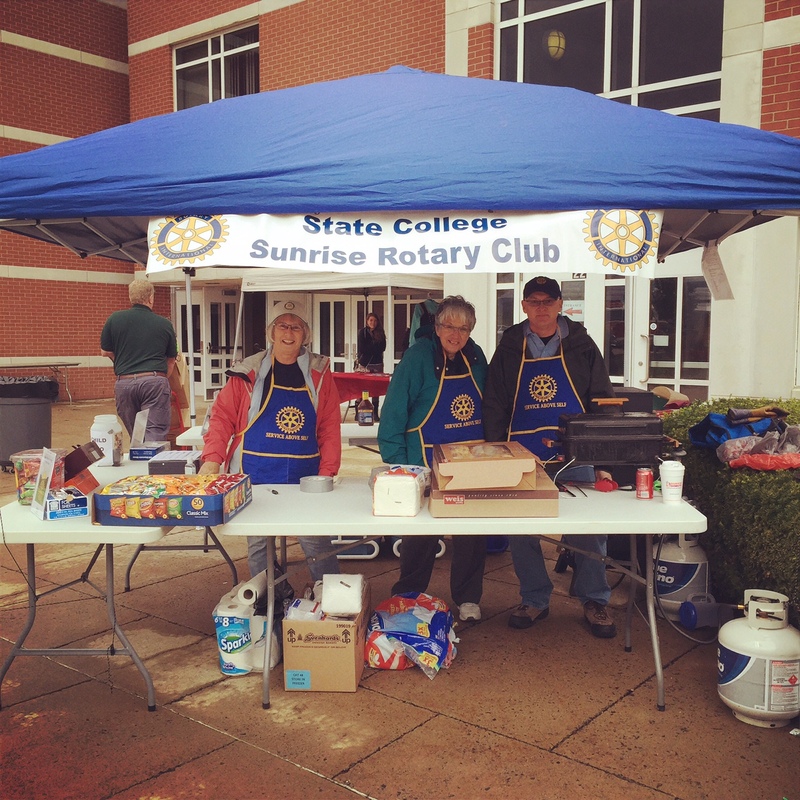 Oct 18, 2014 : Selling Pulled Pork Sandwiches and other goodies. 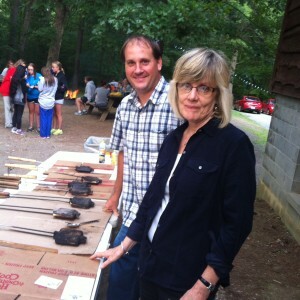 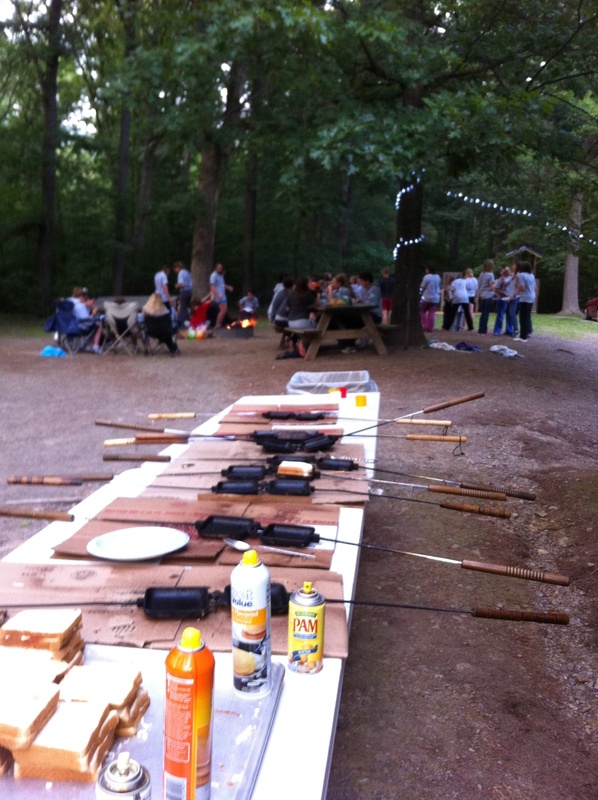 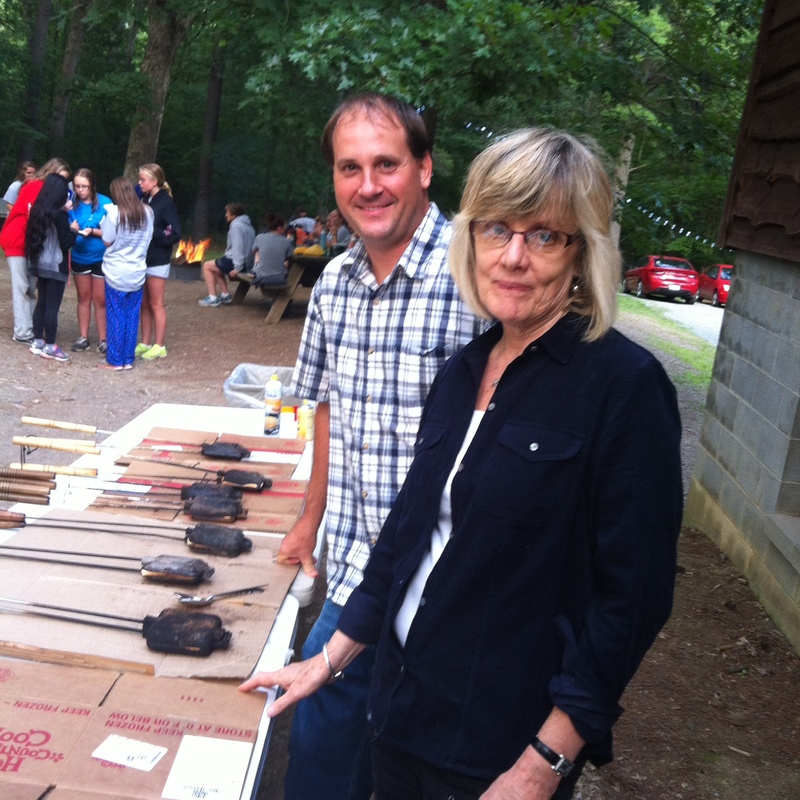 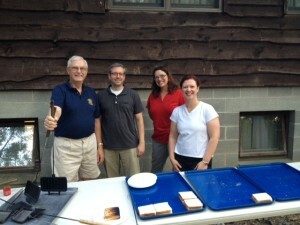 August, 2014 : Pam and Drew making mountain pies for the girls attending camp cadet. 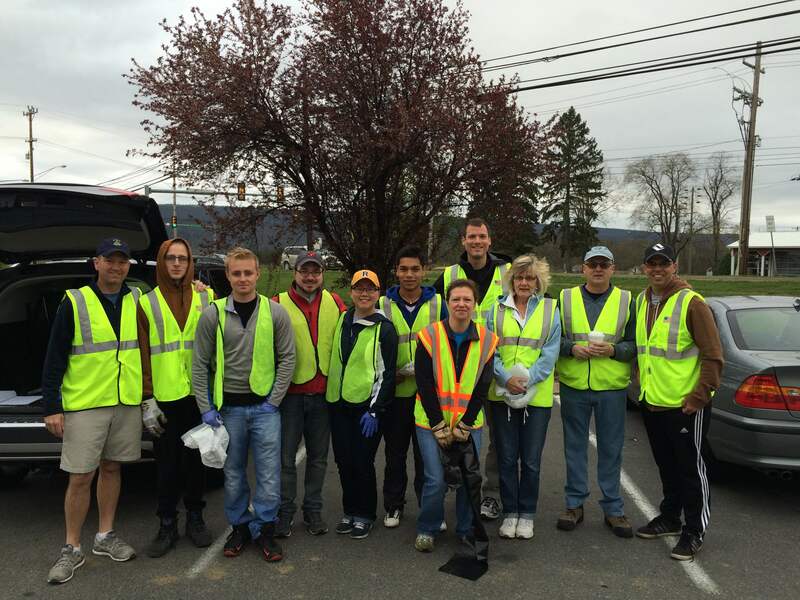 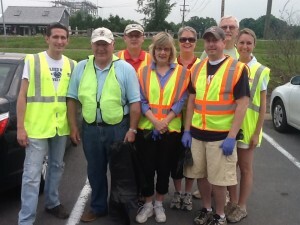 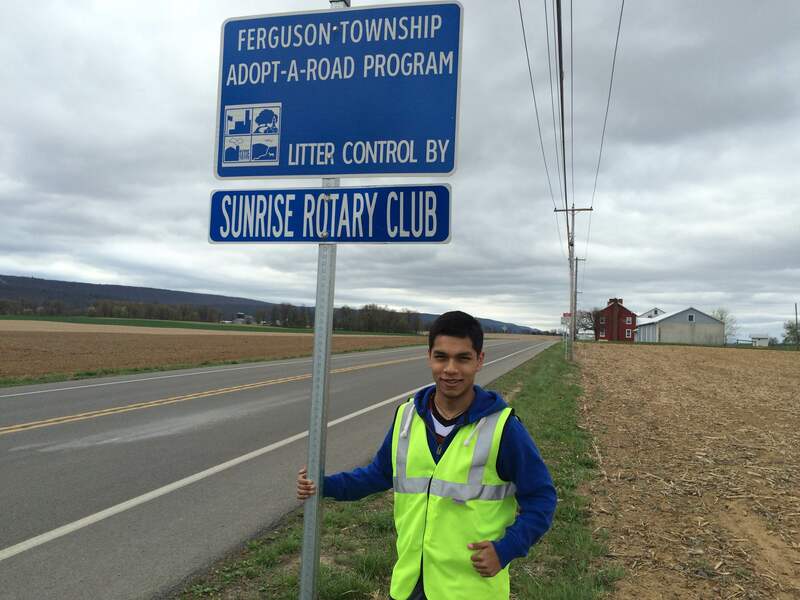 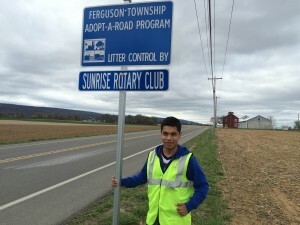 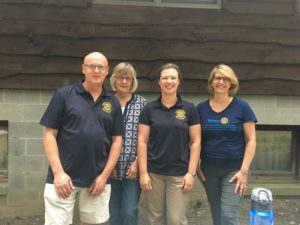 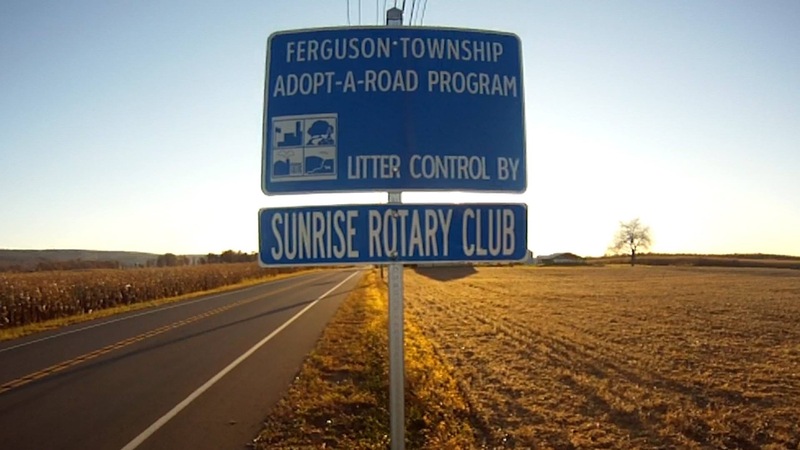 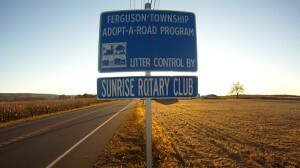 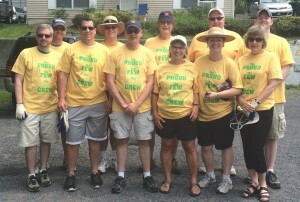 June 2014 – Sunrise Rotary members meet to collect trash along Whitehall Road. The crew for adopt a highway. Missing from picture Dan Hendey, Anna Grieco and Larry Walker.